At Pet Fence Systems, we know that your pet is a member of the family, and they deserve only the very best when it comes to their safety. 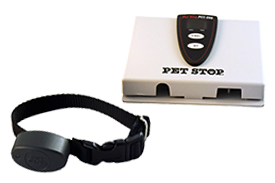 That’s why we choose to provide only Pet Stop® products. 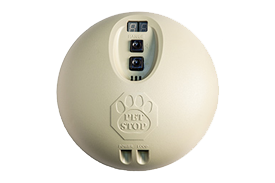 High-quality product, combined with the effective GentleSteps™ training method, allows us to guarantee your pet will be safely contained for years to come. 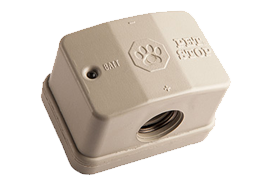 Our Pet Stop® products are loaded with features not offered by any other brand. 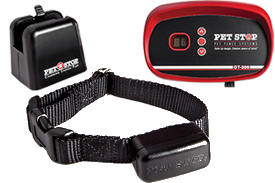 Only Pet Stop provides the most gentle and humane dog fence training program. 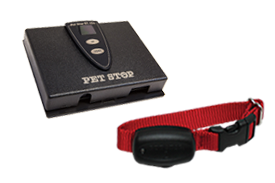 GentleSteps ensures that your pet learns their new boundary without any discomfort. For more information, click here. 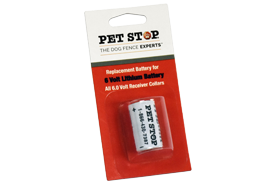 Pet Stop® replacement batteries work flawlessly with the receiver collar. 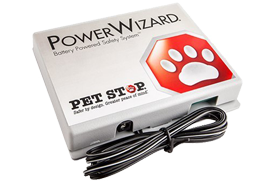 They’re ranked the highest on the market in durability and performance, and they are relatively inexpensive when evaluated next to batteries from companies such as Invisible Fence®, DogWatch®, PetSafe® and the rest. EcoLite’s environmentally friendly built-in rechargeable power pack lasts up to 25 years. Now you’ll never have to worry about running out of costly batteries. It’s incredibly small and lightweight, weighing just under an ounce. EcoLite’s small size makes it the ideal choice for small dogs, yet is effective for even the biggest of breeds. With the EcoLite System, you’ll save an average of $800 on batteries over 10 years! Though we are not associated with Invisible Fence®, we can provide independent support and would be happy to assist you with your Invisible Fence® system. Lets cut to the chase! 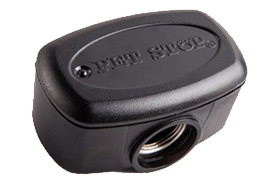 You’re interested in getting some more information on your very own dog fence system, and we want to provide that for you. Every dog, yard and customer’s needs are different – and we want to give you an accurate quote catered to your unique situation. Use the form below to get in touch with us and we’ll get back to you with more information as soon as we can.